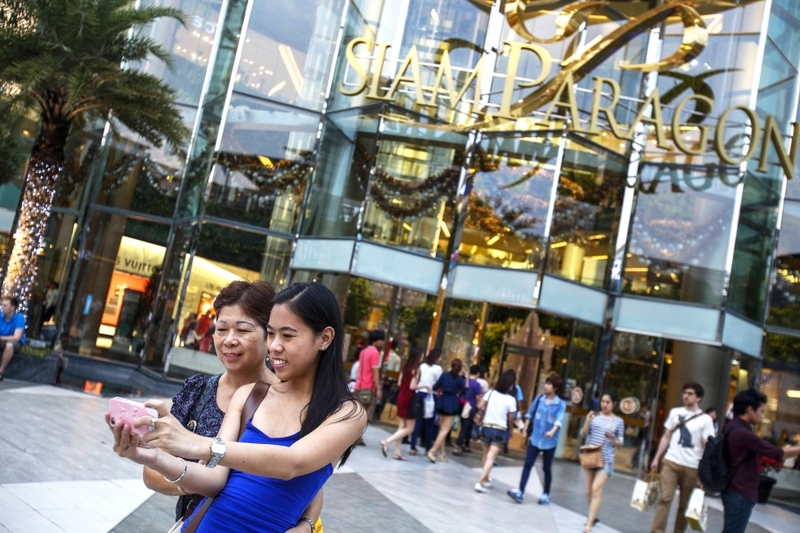 Picture this: In 2013 Siam Paragon mall in downtown Bangkok was the most Instagrammed place in the world. This fact doesn’t say so much about the scale of the 400,000m2 mall, as much as the importance of getting ‘that photo’ and of course, of the importance of shopping to the young Asian travellers who visit. With 15.98 million international visitors, Bangkok was the world’s most visited city in 2013, with Chinese visits having grown 250% over the past decade. The city is a big draw for young travellers from other Asian cities too, due to its explosive mix of shopping, entertainment and night-life. Sharing what they have bought (be it a coffee, a handbag or a car) instantly with their online community is a must, and it amplifies the city’s reputation as a shopping Mecca. Apart from Hong Kong and Macao, Bangkok is the most visited city by Chinese visitors, and research consistently shows that Chinese shoppers dedicate a greater amount of their holiday budget to shopping than any other nationality. Other groups of Asian travellers place shopping very high on their holiday agenda too, and destinations in Europe, the US, Australia and New Zealand will overlook that fact at their peril. For the time being at least, high import taxes on luxury items means that shopping for luxury brands is cheaper for Chinese tourists overseas than at home. Gift-giving, trophy-buying and self-indulgence are the name of the game and the purchase is central to the feeling of having truly arrived –whether it’s in Siam Paragon or on the Champs Elysées. Being able to share those emotions in real-time is rapidly becoming part of the shopping experience too – another demonstration of why providing fast, free WiFi is becoming the latest trend for supermarkets and shopping malls. It has clearly worked to good effect for Siam Paragon. A report due to be released by UNWTO later this month is due to explain how shopping is fast becoming one of the biggest influences on travel behaviour. It’s what is driving innovations in shopping tourism such as mall hotels and outlet shopping villages. Destinations such as London or Paris understand this well, with consortia of retailers working with the city authorities to spruce up shopping areas, provide multi-lingual signs and promote their activities overseas. London’s New West End Company is a good example of this. Smaller destinations also need to understand the importance of shopping to the visiting Asian traveller – even the smallest towns can make the most of what they have, but they have to recognise that it’s a priority and shape their marketing and on-the-ground management around it.